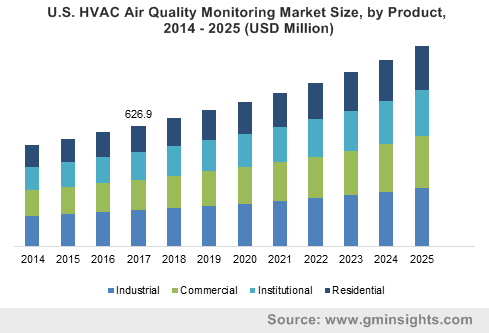 HVAC and Construction « Global Market Insights, Inc. The rising construction & infrastructure upgradation projects & the deployment of heavy-load lifting equipment have been fueling tower crane market growth since the last few years. Tower cranes are renowned across the global construction sector for their ability to conveniently transport raw material to and from the construction site, significantly reducing the project’s overall development time. In fact, tower cranes have become so essential in construction that today they are a common fixture at any major construction site globally. 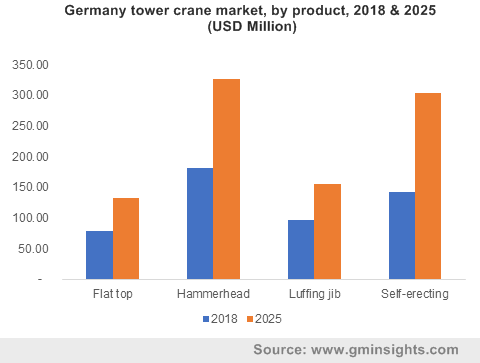 The overall tower crane market, pertaining to increasing product demands, has been witnessing numerous technological advancements, including the integration of hydraulic systems or electric motors & internal combustion engines (ICEs). These advancements greatly increase the component’s efficiency and facilitate an enhanced level of productivity for end-use sectors. Not to mention, the ICEs & electric motors also help in eliminating carbon emissions – a major factor to be considered, given the regulations that are currently enforced on the construction, utility & mining sectors. As on today, an increasing number of manufacturers & customers are focusing more on employing environmentally friendly practices to reduce the global pollution, which would open up new growth avenues for the overall tower crane industry. The construction sector is considered to be of extreme importance in the European economy given that it is home to more than three million enterprises that directly employ a total of 18 million individuals, as claimed by the European Builders Confederation. The organization further estimates that the European construction sector accounts for more than 9% of the total GDP of the European Union. While the economic crisis severely affected the continent’s construction segment between 2008 & 2013, the market slowly began its recovery in 2015. Eurostat & Euroconstruct have both attributed the recovery to factors such as strong economic growth, the state of public finances, rising household income and growing corporate profits. These factors, along with the simultaneous construction-output growth across 19 Euroconstruct nations, were responsible for the EU recording an overall peak growth 4.1% in 2017. In the years ahead, the regional construction sector is expected to record substantial gains bringing respite to the Europe tower crane market. According to the Spring 2018 Economic Forecast by the European Commission, prospects for EU’s construction industry look very bright with construction investment growth in 2019 slated to remain very strong. This would majorly augment the Europe tower crane market as it capitalizes on the expansive demands of the regional construction industry. According to the World Economic Forum, construction is a massively proliferating industry in APAC with numerous economies in the region building their way to a more developed & interconnected future. From extensive redevelopment projects that aim to reinvigorate ageing transport-hubs to new schemes that are specifically designed to open up the region to the global market, nations across the APAC are investing in infrastructural development at an immense scale. This in consequence, would help APAC tower crane market chart out an extremely lucrative growth graph in the ensuing years. On of the most prominent regional grounds for the APAC tower crane industry would be India. The country’s Prime Minister, Narendra Modi, in 2017 announced a drive to facilitate proper housing facilities to the nation’s population of 1.3 billion. Increasing income levels and the subsequent affordability are slated to release a trillion-dollar wave of investment across the nation’s housing sector over the coming years. The drive expects to construct more than 60 million new homes between 2018 & 2024, generating approximately 2 million new job opportunities on an annual basis. The India tower crane market is also witnessing a rise in production capacities & rental facilities because of customers’ low investment profiles. 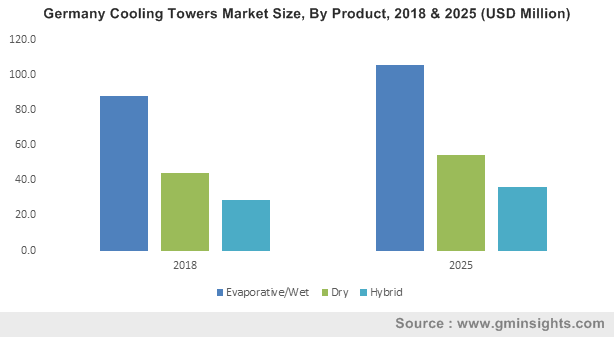 Driven by the numerous ongoing & upcoming residential, infrastructure & commercial projects across prominent APAC economies, including China, Singapore, Japan, Malaysia and Australia, the APAC tower crane market is slated to experience a CAGR of 9.5% over 2019-2025. Fueled by the robust expansion of the tower crane market across myriad geographies, the global industry is expected to attract significant investments in the years ahead. In fact, according to Global Market Insights, Inc., the overall tower crane market size is slated to surpass the $5.5 billion renumeration mark by 2025. This entry was posted in HVAC and Construction and tagged APAC Tower Crane Market, Bottom Slewing Crane, Canada Tower Crane Market, Construction equipment, Europe Tower Crane Market, Flat Top Tower Crane, Germany Tower Crane Market, Hammerhead Tower Crane, Luffing Jib Tower Crane, Self-Erecting Tower Crane, Top Slewing Crane, Tower Crane Industry, Tower Crane Industry Analysis, Tower Crane Market, Tower Crane Market 2019, Tower Crane Market 2025, Tower Crane Market forecast, Tower Crane Market growth, Tower Crane Market Outlook, Tower Crane Market PDF, Tower Crane Market report, Tower Crane Market share, Tower Crane Market size, Tower Cranes Market Statistics, U.S. Tower Crane Market. The global filter bags market has recently been experiencing appreciable growth on account of the rising awareness concerning high quality and a safe environment. Filter bags remove particulates and withstands high temperature conditions in an efficient manner, which makes them suitable for usage in metal, cement and power generation industries, thus propelling the growth of filter bags market. The utilization of filter bags in controlling industrial emissions owing to its molecules and particles holding capacity will boost the product demand, thereby driving the growth of the overall industry. 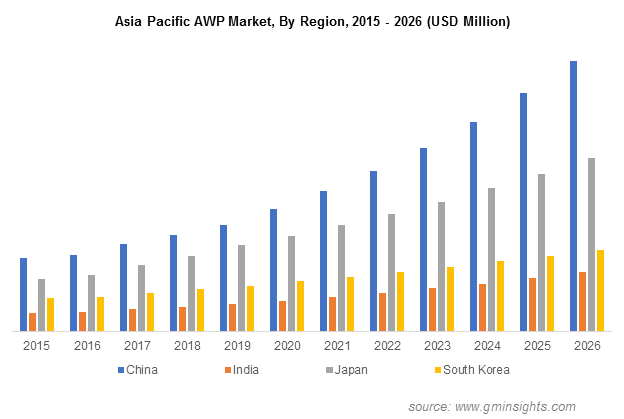 Rising emissions in China and India due to the growing industrial activities will further augment the growth of the filter bags market in the upcoming timeframe. A major factor that will propel the industry is the growing automotive sector across the globe will contribute to the rise in steel production. The filter bags used in the reactor exhausts in steel manufacturing industry, will result in an accelerated demand for the product, stimulating the overall industry growth. Furthermore, the filter bags are also used in pulverized coal injection apparatus and coal fired boilers in the power generation industry for capturing fine coal sediments. Increasing electricity usage with regards to the growing commercial and industrial activities will enhance power generation. The deployment of filter bags has thus proved to be highly beneficial across a number of sectors. Indeed, the filter bags market has been expected to rise essentially on account of the vast application spectrum of the product in the forthcoming years. As per reliable reports, the filter bags market size from power generation is anticipated to witness a notable growth rate across economies such as China and India. Indeed, the coal-fired electricity generation in China, in 2017, had increased for meeting a 6% growth in electricity demand. Moreover, Asia accounted for the largest increase in coal demand, which was up 35 million tons oil equivalent (mtoe), in contrast with the previous year. Driven by the fact that filter bags are utilized for capturing fine coal sediments in pulverized coal injection apparatus and coal fired boilers for generating electricity, the power generation sector is touted to hugely contribute towards the expansion of the filter bags market in the forthcoming timeline. Indeed, filter bags industry share from power generation applications is anticipated to register a CAGR of 5.5% over 2018-2024. The pharmaceutical industry is expected to emerge as one of the most lucrative application avenues for this industry. According to reliable reports, the pharma industry is valued at a consistently high remuneration, and is among the top five industries by total value in the global economy. Filter bags have a number of properties, among which their high dust holding capability finds immense prominence in dryers and boilers for manufacturing drugs. Furthermore, rising R&D activities as well as technological advancements for manufacturing safe drugs will drive the demand for filter bags in the pharma industry, catapulting the overall industry growth. 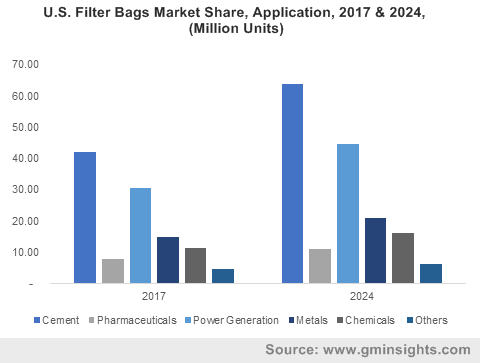 As a matter of fact, the global filter bags market size from pharmaceutical applications is anticipated to hit a appreciable valuation of around USD 215 million by the end of the year 2024. Endorsed by an ubiquitous application terrain, the filter bags market is estimated to depict a highly lucrative remuneration graph in the upcoming time. As per estimates, the valuation of filter bags market would cross a colossal of US$4 billion by the end of 2024. This entry was posted in HVAC and Construction and tagged APAC Filter Bags Market, Canada Filter Bags Market, China Filter Bags Market, Europe Filter Bags Market, Filter Bags Industry, Filter Bags Industry Analysis, Filter Bags Market, Filter Bags Market 2019, Filter Bags Market 2025, Filter Bags Market Analysis, Filter Bags Market forecast, Filter Bags Market growth, Filter Bags Market report, Filter Bags Market share, Filter Bags Market size, Filter Bags Market trends, Germany Filter Bags Market, North America Filter Bags Market, U.S. Filter Bags Market. Driven by massive spending on infrastructural projects and rising inflow of FDI in the real estate sector, Asia Pacific construction equipment market has established itself as one of the most lucrative business spheres in the recent times. The rise of online retail outlets and the convenience of replacing parts by the firms via online channels has been creating considerable opportunities for the players operating in the Asia Pacific construction equipment market. The overall construction sector in the region is increasingly shifting toward improved and technologically-advanced construction machinery owing to a significant uptick in labor costs and visible demographic changes. 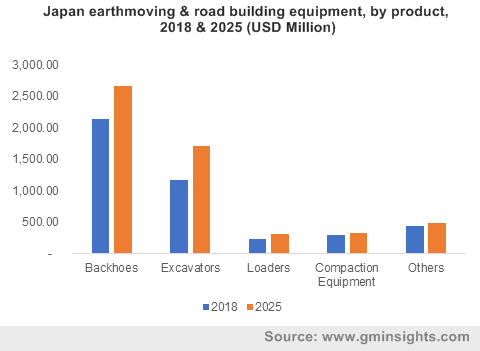 Speaking in the similar context, numerous prominent heavy-equipment makers are developing advanced excavators which has fortified the stance of earthmoving and road building equipment segment in the Asia Pacific construction equipment market. For instance, Hitachi recently introduced ZH210-6 excavator which is regarded as one of the most fuel-efficient and light-weight excavators to have been developed in the recent past. Equipped with high-grade hydraulics, ZH210 emits reduced levels of carbon dioxide and consumes less fuel. How has the Indian government’s urban modernization and affordable housing programs favored the APAC construction equipment industry? Following its establishment as one of the prominent growth engines of the Asian continent, India has stepped up its efforts to reform the way urbanization has been progressing in the nation over the last few decades. Owing to increasing population and high rate of migration, the demand for affordable housing is on the rise. In addition to this, the need to upgrade the overall transportation network across urban and rural areas has been one of the top-most priorities of the nation. To achieve the desired results in terms of sustainable urbanization in this time and age, India has been investing heavily in the construction sector – a business vertical which has emerged as the second largest employer in the nation over the last few years. The construction sector received a humongous boost by the Indian government in 2015 when it launched three mega urban transformation schemes viz., Housing for All, Atal Mission for Rejuvenation and Urban Transformation (AMRUT), and Smart Cities Mission. These ambitious programs – allocated with a total budgetary outlay of more than 6 lakh crores – are aimed at driving economic growth and fast-tracking the process of urban transformation to enable better living standards, which would, in turn, immensely benefit the commercialization potential of APAC construction equipment market from India. After constructing large-scale projects such as the world’s largest dam and building a 26-mile-long bridge, China is now focusing on unprecedented infrastructural projects such as Belt and Road Initiative. Regarded as the largest undertaking in its modern history, the initiative aims to develop and build an enormous network of railroads and shipping lanes between China and 65 nations in Europe, the Middle East, North Africa, and Asia. Although it was first proposed in the year 2013, Belt and Road Initiative has garnered considerable momentum only last year and is expected to provide significant push to the Asia Pacific construction equipment industry. Moreover, China’s is rapidly transitioning toward a consumer and services driven economy which opens up a new kind of construction in social, educational, and healthcare infrastructure. Powered by the launch of innovative and technologically-superior equipment, swift pace of urbanization, rising demand for affordable housing, and massive spending on infrastructural projects by chief economies of Asia such as India and China, the remuneration portfolio of Asia Pacific construction equipment industry is slated to surpass USD 80 billion by 2025. This entry was posted in HVAC and Construction and tagged 2025, APAC Construction Equipment Market, APAC Construction Equipment Market 2019, APAC Construction Equipment Market forecast, APAC Construction Equipment Market growth, APAC Construction Equipment Market report, APAC Construction Equipment Market Statistics, Asia Pacific Construction Equipment Market, Asia Pacific Construction Equipment Market share, Asia Pacific Construction Equipment Market Size, China Construction Equipment Market, Earthmoving Equipment Market, India Construction Equipment Market, Japan Construction Equipment Market, PDF, South Korea Construction Equipment Market. 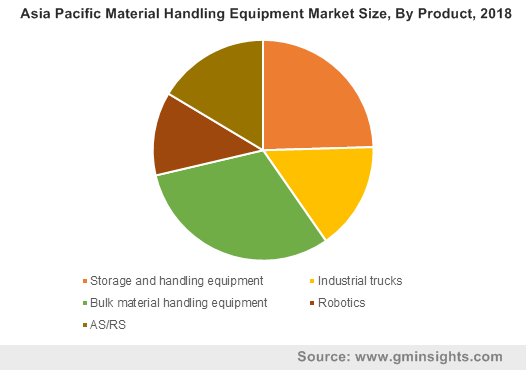 The APAC material handling equipment market has, of late, been experiencing appreciable growth on account of the presence of myriad regional companies delivering robotic technologies for warehouse automation. An influx in the demand for automated solutions to support numerous warehouse operations like retrieval, storage, transportation and packaging will steer the industry growth in the years to come. The industrial sector in APAC has lately been under pressure to shift its focus toward robotic technologies owing to the hike in labor costs. The growing operational productivity and efficiencies in warehouses through the applications of these systems are enabling the companies to enhance their sales and productivity. Moreover, a number of small-scale industries are deploying old/used machinery for minimizing extra cost of purchasing new equipment. These machines need replacement of parts and components at regular intervals, which will subsequently propel the commercialization map of the APAC material handling equipment market in the forthcoming years. The regulatory framework in the Asia Pacific is majorly responsible for impelling the regional material handling equipment industry, given that legislative authorities are developing a number of initiatives that are generating a huge demand for automated technologies. The initiative called ‘Made in China 2025’ by the Chinese government for instance, is accelerating the production rate in the nation. This move is encouraging domestic and global companies to establish their manufacturing facilities in the nation. Such facilities would overtly need automated technologies to enhance and improve operations and production capabilities, which would propel APAC material handling equipment industry. Manufacturers are also assisting small-scale ventures in purchasing these automated machines via financing options and flexible loans. This helps companies with facilities in installing modern equipment within the budget range, which in turn will augment the APAC material handling equipment market growth in the coming years. The deployment of material handling equipment has thus proved to be highly beneficial across a spate of verticals. Indeed, the APAC material handling equipment industry has been touted to thrive essentially on account of the vast application spectrum of these components, which is expected to expand in the forthcoming years. The third party logistics industry is anticipated to emerge as one of the most profitable application avenues for the APAC material handling equipment market. Undeniably, this growth can be credited to the emergence of a hyper competitive pricing market for all third party logistics services. With an increase in the domestic consumption in Asian region, which is increasingly focused on high value and quality goods, companies are getting more inclined towards robotic technologies and automation. Driven by the fact that material handling equipment help companies in raising their efficiencies and operational productivity, in a bid to make sure that their productivity and sales are enhanced, the 3PL sector is touted to hugely contribute toward the expansion of the APAC material handling equipment market. With an upsurge of expenditure on outsourced 3PL services across contract logistics, the demand for material handling equipment will naturally depict a rise, augmenting the APAC material handling equipment industry size from 3PL applications. According to reliable report, the eCommerce market is expected to depict a highly commendable growth rate across economies such as India and China. Indeed, China is known to account for almost half of online retail eCommerce sales across the globe. Apart from making the process hassle free, companies in the eCommerce industry are adopting advanced and automated material handling equipment to speed up the operations, along with reducing costs – a major parameter of concern in the eCommerce industry. As per China e-Business Research Center estimates, Tmall rules the B2C marketplaces of the Chinese eCommerce landscape, followed by JD, Suning, Tencent among others. The presence of numerous eCommerce companies, low-cost deliveries, and the mammoth population of the Asia Pacific region testifies the fact that the eCommerce industry in this region will witness a massive upsurge in the coming time. This would irrefutably contribute to the expansion of the APAC material handling equipment market from e-commerce applications over 2019-2025. Endorsed by a widespread application terrain, the APAC material handling equipment market is anticipated to depict a highly lucrative remuneration graph in the coming years. According to estimates, the valuation of APAC material handling equipment market would surpass US$80 billion by the end of 2025. This entry was posted in HVAC and Construction and tagged 2025, APAC Industrial Automation, APAC Material Handling Equipment Market, APAC Material Handling Equipment Market 2019, APAC Material Handling Equipment Market forecast, APAC Material Handling Equipment Market growth, APAC Material Handling Equipment Market report, APAC Material Handling Equipment Market Statistics, Asia Pacific Material Handling Equipment Market, Asia Pacific Material Handling Equipment Market share, Asia Pacific Material Handling Equipment Market Size, China Material Handling Equipment Market, India Material Handling Equipment Market, Industrial Robotics, Japan Material Handling Equipment Market, PDF, South Korea Material Handling Equipment Market.